Mimi’s Café is a French-inspired, casual-dining restaurant in the United States. They are open the whole day, serving mouth-watering breakfast, lunch, and dinner. They also offer catering services in off-site venues. This café was founded by Arthur Simms in December 1978 in Anaheim, California. In 2013, it was sold to the U.S. branch of Groupe Le Duff. Currently, the company has stores in 145 locations in 24 states of America. It lists around 1,000 employees in its present roster. In 2016, it was named as one of the Top 500 Chain Restaurant. The company’s employee package consists of competitive benefits including an industry-pegged salary, free employee meals and discounts, and health insurance coverage. They also have benefits for tuition reimbursement and a 401(k) savings plan. Employees cite the opportunities for professional growth as one of the reasons they love working in this café. They also love how they are able to meet interesting new acquaintances at work, both co-workers and customers. How old do you have to be to work at Mimi’s Cafe? The café accepts job applicants who are at least 16 years old. However, employees younger than 18 years old are not usually allowed to handle heavy restaurant equipment. Those who have high school diplomas may apply for the available positions. There are various job opportunities in this café. For those who are interested can apply as Hourly Associates or as part of the Management Team. Each team member is valued and there are numerous learning opportunities on-the-job. Assistant Manager: This position works closely with the General Manager in overseeing the restaurant’s daily operations. The Assistant Manager has responsibilities in the areas of sales and traffic generation and profitability. It is also his task to connect with key personnel in businesses, schools, and organizations within the branch service area for potential catering events. Bartender: The Bartender is tasked with the preparation of drinks, both alcoholic and non-alcoholic as the customers would prefer. He should be personable and good in customer service. He could serve the drinks right at the bar or to the customers in the dining room. Often, bar tenders are entertaining in their mixing tricks and the stories they share. Busser: The Bussers are dining room employees in charge of taking used dinnerware from the tables to the kitchen. He should be clean and personable and must treat each customer politely as he discretely offers to clear their tables in between courses. They are also usually tasked with refilling the customers’ water and coffee. Cook: The Cook is in charge of preparing the food served in the café. He follows the standard recipes of the restaurant and ensures that all the dishes are consistent in flavour and presentation. He observes proper cooking techniques and practices including sanitation and safety. He should be organized especially when several orders are placed at the same time. Culinary Manager: The Culinary Manager is responsible for overseeing kitchen operations. He is responsible for providing instructions and training to his team members especially when it comes to menu planning, food handling and preparation, and sanitation policies. He has to ensure that his team’s output meets company guidelines. Host: The Host is responsible for making the customers feel at home in the restaurant. He/ she must greet each client, usher them in their seats, present the menu, and answer their questions related to the products or services of the restaurant. The host must have good customer service and communication skills. Industrial Mechanic: This technician is assigned at the company’s production facility. He is in charge of checking and ensuring that all food production and quality control equipment are running properly. He closely coordinates with the production team and documents equipment-related issues. He observes industrial safety standards in performing his work. POS Help Desk Analyst: This is an IT support position that requires knowledge of point of sales systems, VoIP telephony, and networking functions. This employee will provide support services to the head office units and about 500 branches throughout the country. The ideal candidate should not only have technical expertise but excellent communication skills and a positive attitude as well. Prep Cook: The Prep Cook handles the preparation of ingredients according to the menu. Part of his responsibility is to ensure a fully-stocked pantry. He should also check the produce and packaged items for freshness and quality. He must know the menu items by heart so he can prepare the ingredients according to specifications. Servers: The Servers attend to the needs of the customers in the dining area. They should be attentive, responsive, and courteous to all diners. They should be able to provide a more personal customer experience and serve the customers they way they would serve their family at home. Servers have a generally positive and accommodating attitude. 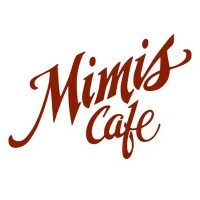 Applying for jobs at Mimi’s Café is fast and easy as you only need to send in your resume. The company will screen your application for initial qualification. If you pass, you will be called in for an interview. An online application facility is available at the café’s official website. If you wish to hand in your resume personally, you can do so by visiting a branch near you. Submitting your application online can be done through LinkedIn. After you have signed in, you can fill up the application form. Go through the form thoroughly to ensure accuracy and completeness. Make sure that your resume is comprehensive but not cluttered and overwhelming. Clearly indicate your personal information and pertinent background. Highlight achievements and experience related to the job you are applying for. When you come in for your interview, make sure that you are appropriately dressed. The basic rule is to be neat and presentable. It would help to dress according to the image of the company too. This café offers a fun working environment that’s made more exciting by the prospect of meeting interesting new people with each work day. What’s more, this company supports its employees’ professional growth and rewards them with various perks. Mimi’s Café is constantly developing their menu to continue delighting their customers. In 2016, they launched the ‘Fall Dish’ which is a Honey Lavender Grilled Pork Chop in response to requests from the customers. This café has gained popularity and earned loyal customers because of its diverse menu of delicious dishes and wines. They also offer dishes that kids love, making it a great venue for family dinners and gatherings. The café gives back to the community too with the fundraising events in their corporate social responsibility program. Among these are the Gift Card Sales Program and the Muffin Program. 1 How old do you have to be to work at Mimi’s Cafe?